Interested in buying Bria for your Macintosh? Interested in buying Bria for Windows? Unified, modular and truly unlimited. Award-winning VoIP Solutions for everyone. Collaborating to set new industry standards. Certify your service or have us create a custom white label solution. 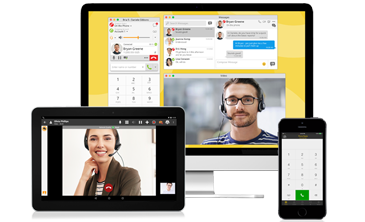 Empower your customers with VoIP, mobile VoIP and Over-the-Top (OTT) solutions. See the great companies we've partnered with. Certify your mobile device with Bria Mobile softphone apps. Unrivaled technology surpassed only by our service. Common Questions from CounterPath Customers & Investors. The CounterPath Branding Engine and dedicated support engineer teams. CounterPath collects information related to your use of our website using cookies, web beacons, and log information. Web beacons are objects embedded into web pages that allow us to determine whether and for how long users view web pages. We use web beacons for site traffic reporting, unique visitor counts, auditing and reporting, personalization, and other functions. Log information may include web requests, Internet Protocol address, operating system, browser type, browser language, date and time of your request, and cookies that may uniquely identify your browser. CounterPath uses this information to enhance the security and functionality of the website and to make your access more convenient, secure, and efficient. CounterPath also uses information gathered from logs, cookies, and web beacons to monitor website performance; improve website design, functionality, and security; and assemble web analytics and activity trends. CounterPath retains such information for as long as reasonably required for business purposes or as reasonably required to comply with our legal obligations. You may stop your browser from accepting cookies or web beacons. The Help portion of your browser should explain how to configure your browser’s cookie handling. Your browser may have add-ons that may help you block web beacons. You may have limited functionality if you block cookies or web beacons set by our website. CounterPath Corporation is a leading provider of innovative desktop and mobile VoIP software products and solutions. © 2018 CounterPath. All rights reserved.